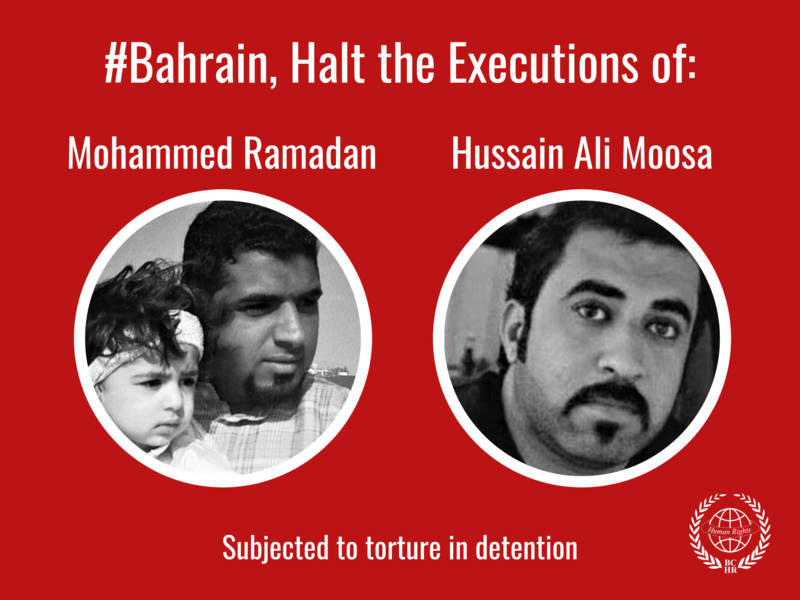 On 25 January 2017 a Bahraini court ruled to jail three parents of extrajudicial killing victims who died during the pro-democracy protests in Bahrain in 2011. Zamzam Abdulla, the mother of the late Ali Mushaima was sentenced to one year in prison; while Jawad Al-Sheikh, the father of the late Ali Al-Sheikh, and Makky Abu-Taki, father of the late Mahmood Abu-Taki, were sentenced to three years each, based on charges of alleged “illegal assembly” and “insulting the king.” The Bahrain Centre for Human Rights (BCHR) condemns these arbitrary sentences and calls on the government of Bahrain to drop all charges against these persons, to stop targeting the families of the victims of extrajudicial killing and to hold the killers of the three victims responsible. The late Ali Mushaima, was the first to fall on 14 February 2011, when he received a shotgun blast in the back from close range from the security forces. Since the death of Ali Mushaima, his family has been targeted for insisting on accountability for the death of their son. Abdulhadi Mushaima, the father of Mushaima, was arrested in 2013 and 2014 and remained in custody for several days before being released. He was summoned for interrogation several times in the past years. Furthermore, in November 2014, his wife, Zamzam Abdulla, the mother of the late Ali Mushaima, was arrested from the Bahrain International Airport as she attempted to travel to Iran for a religious-tourism visit. She was interrogated at the public prosecution on charges related to “insulting the king” and “inciting hatred against the regime,” and released the next day. On June 2016, both parents of Mushaima were banned from travel. On 25 January 2017, the mother received a sentenced of one year in prison for these charges. The policeman responsible for the death of Ali Mushaima was initially sentenced to seven years’ imprisonment in January 2013, which was later reduced to three years’ imprisonment in October 2013. Furthermore, and while there was no confirmation whether the convicted policeman was ever detained to serve the sentence, it was reported that he received a royal pardon in May 2015. While a three-year imprisonment for the killing of Mushaima is a lenient punishment, many other families of victims of extrajudicial killings in the 2011 protests never had the death of their loved ones investigated, much less prosecuted by authorities. Makky Abu-Taki and Jawad Al-Sheikh have both been actively protesting to call for the investigation of the killing of their sons and have been targeted before. Both men were detained under very similar circumstances. Makky Abu-Taki was detained in November 2013 when he showed up at the Noaim police station to be interrogated. He went on to spend 45 days in detention where he was reportedly mistreated, beaten and insulted. He received no medical attention for 12 days despite the deterioration of his health until he eventually had to be referred to a specialized doctor. On 25 January 2017 he received a sentence of three years in prison for “illegal assembly.” He is currently outside Bahrain. Makky Abu-Taki’s son, 23-year-old Mahmood Abu Taki, was killed by gunshot wounds during the deadly dawn raid on the Pearl Roundabout on “Bloody Thursday,” 17 February 2011. To date, the Interior Ministry has failed to investigate this case and no one was prosecuted for his death. Jawad Al-Sheikh was arrested and detained several times over the past five years, including in October 2012 when he spent over two months in prison for allegations of “illegal assembly.” In November 2013, he was arrested during a raid of his workplace and interrogated about a speech he gave at a religious occasion. He was also mistreated and received no medical attention for the duration of his stay, despite his family's claims that he was suffering from rheumatism. On 25 January 2017, he received a sentence of three years in prison for “illegal assembly.” Jawad’s son, Ali Al-Shaikh, 14 years old, was killed after being directly shot at with a teargas canister which hit his head during a peaceful demonstration in his village in the morning during the Eid holiday on 31 August 2011. 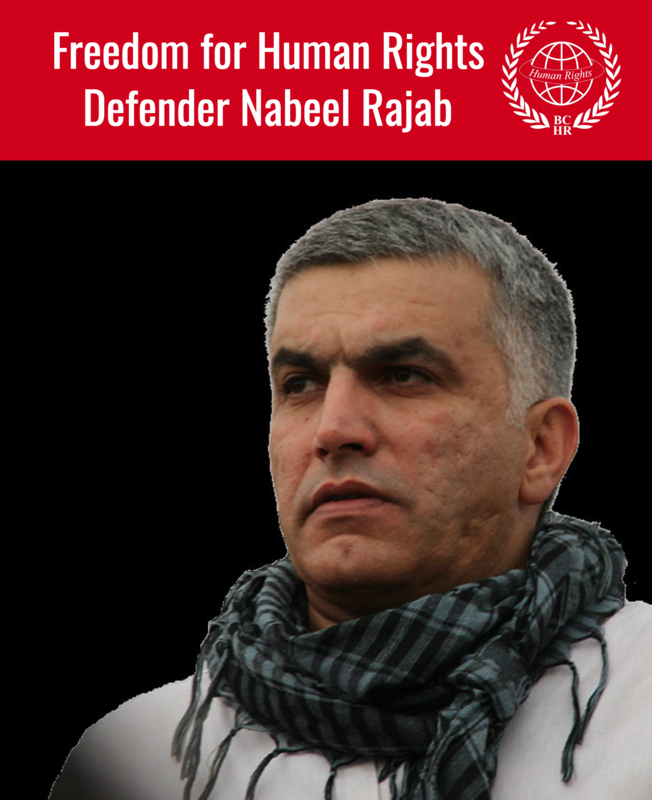 The Bahraini authorities have failed to bring anyone to justice over this death. This targeting of families of victims of extrajudicial killings is part of a bigger trend where families are targeted instead of the killers of their loved ones. The same targeting befell the families of Ali Al-Moamen, Ahmed Farhan, Qassim Badah, and many others, while those responsible for the extrajudicial killing were not held accountable for their actions. Through systematic acts of retaliation against the families of victims of extrajudicial killing, the authorities seek to dissuade victims’ families from demanding accountability for the killers of their loved ones. The Interior Ministry thus traps the families into a vicious circle of on-going summons and detention, on account of the families’ activism and calls for the prosecution of those responsible for the murders of their children. Comply with international human rights standards and implement much needed reforms to prevent human rights violations and to ensure investigation of and compensation for claims of abuse at the hands of the Bahraini authorities. The cases of the deaths of Ali Mushaima, Mahmoud Abu-Taki and Ali Al-Sheikh were all investigated in the report by the BICI, which was presented in 2011. And concluded: “900. The death of Mr Almeshaima can be attributed to the use of excessive force by police officers. At the time of the shooting, there were no reports of any disturbances in the Daih area. Furthermore, the fact that Mr Almeshaima was shot in the back at close range indicates that there was no justification for the use of lethal force.” More facts can be found on page 229 of the report. And concluded: “910. The death of Mr Abutaki can be attributed to the use of excessive force by police officers.” More facts can be found on page 231 of the report. “1070. The Commission received information that the deceased went to prayers at around 08:30 on the Eid holiday. He then went to Street No. 1, where he began protesting with a number of other persons. Witnesses stated that they saw a police officer standing out of the top window of the jeep, holding a tear gas gun, about 100 metres away. The protesters were then chased and ran in different directions. One individual was hit with a tear gas canister. Witnesses stated that they heard three shots and they believe that one of these shots hit the deceased. Another witness who was in a nearby cemetery stated that he saw a boy being chased by a police jeep with a police officer standing out of the top window of the vehicle. The witness then lost sight of the vehicle and heard shots being fired. The deceased was taken to Sitra hospital but was refused treatment and subsequently died.” More facts can be found on page 255 of the report.